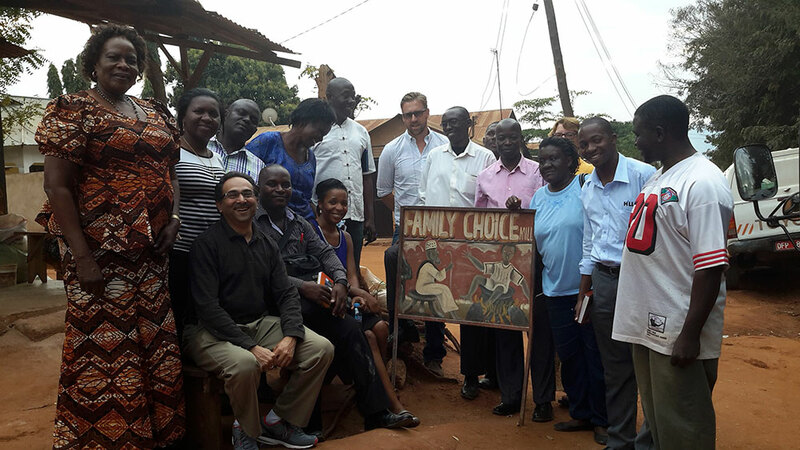 In partnership with the Private Sector Foundation of Uganda (PSFU), SPRING/Uganda supported representatives from the National Working Group on Food Fortification as well as small- and medium-scale maize millers to travel to Tanzania for a learning exchange visit to the Sanku project site in Morogoro Region from July 31 to August 6, 2016. 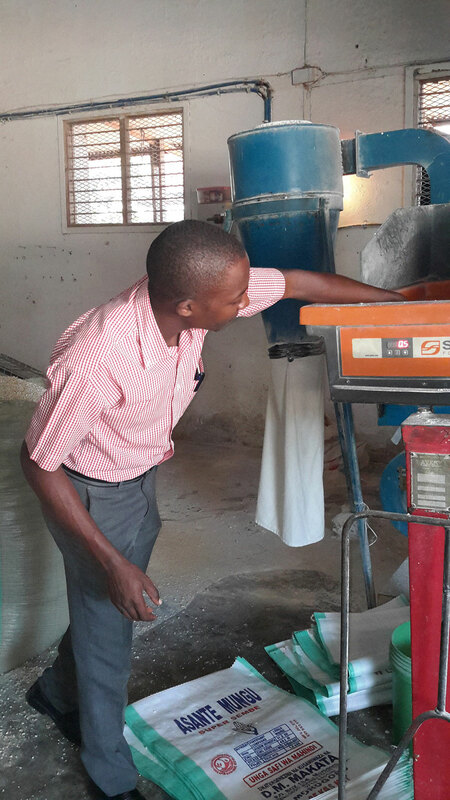 A miller at Family Choice Maize Millers uses a Sanku machine to fortify grain. 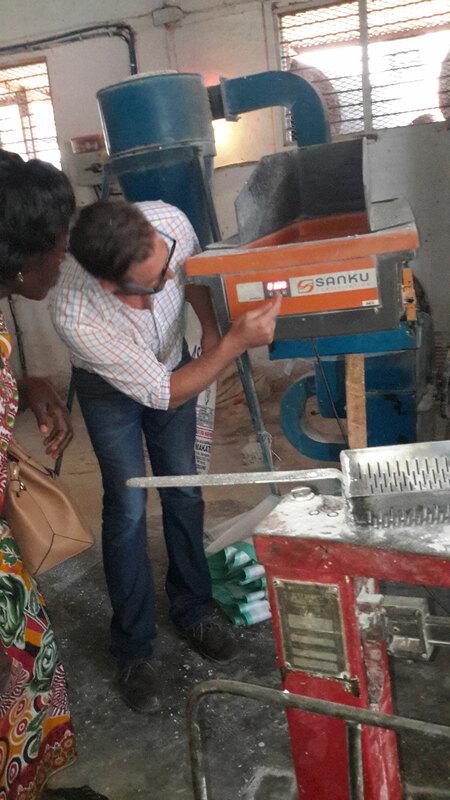 Felix Broxchurch, the president of the Sanku project in Tanzania, explaining the unique features of the equipment. 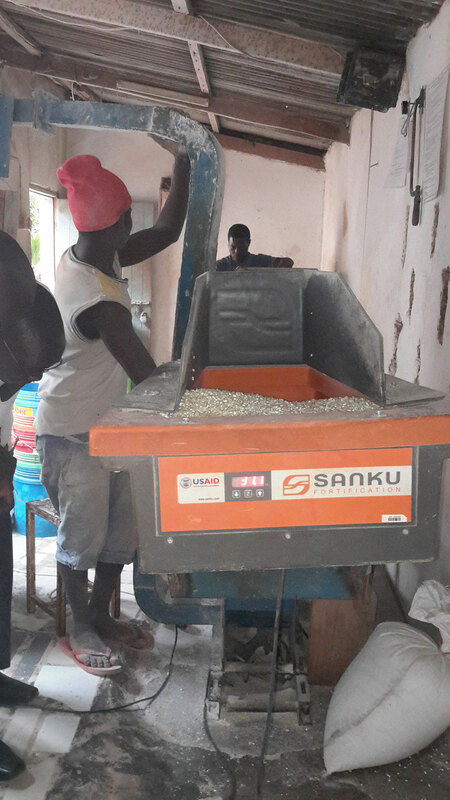 A participant getting familiar with the Sanku machine.